The vegan internet mafia has gone off the rails, this time hurling death threats at a candid chef in Shropshire, England. The death threats led to the closing of two restaurants. “Pious, judgmental vegan (who I spent all day cooking for) has gone to bed, still believing she’s a vegan,” wrote Laura Goodman on a Facebook group called “The Boring Group.” Goodman also joked about “spiking” a vegan’s food, in reference to the cheese pizza that they ordered. Goodman’s joking comment was taken too seriously by easily-offended, self-righteous vegans, who lashed out, calling Goodman’s comments “spiteful”, “mean”, “terrible”, and “disgusting. Goodman’s Facebook comment riled up so many religious vegans, they took to Google reviews to vent their frustration. The diner that Goodman co-owns, Carlini, has received so many negative reviews on Google; its rating has fallen to one star. Ms. Goodman said she is “deeply sorry” for her remarks and has resigned. She said she designed a special vegan menu for a party of diners, but pointed out that one of the guests had settled for a cheese pizza (which is not a vegan food). In fact, vegan cheese from the grocery store is made from milk protein, disqualifying it from being part of a true vegan diet. Ms. Goodman was simply joking about the hypocrisy, because a vegan diet is so strict. Goodman’s fiancé and business partner, Mr. Gale, reached out to the BBC and apologized, “She recognizes she needs some time away from the business to clear her head and think about what happened.” He reassured that no meat was used in any of the dishes. A restaurant spokesperson said the “board of directors are currently considering their options” after receiving complaints. As blown out of proportion as this incident is, the truth is that most vegan cheese is made from casein, a milk protein derived from animals. Casein is highly concentrated in regular cheese. When consumed by humans, casein breaks down into several chemicals, including casomorphine, an opioid peptide. 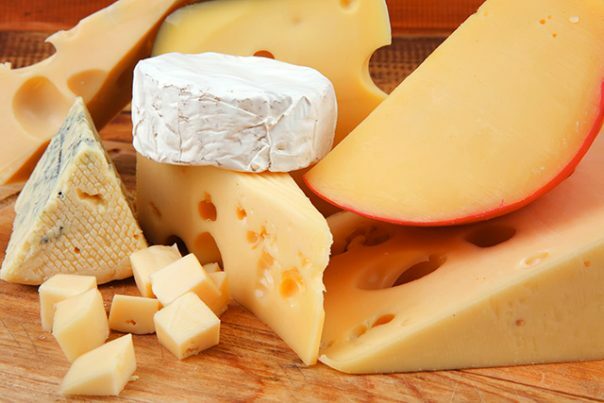 This explains why humans are so easily addicted to cheese. Still, soy and rice-based cheeses (commonly consumed by vegans) also contain casein. Additionally, casein can be found in other vegan substitute foods, including whipped topping, coffee creamers, mock meats, egg substitutes and in some brands of coconut milk powder. Casein is also used in the fining process to clarify wines. Vegans take pride in their animal-free diet; but they are prone to self-righteous attitudes and eventually imperfections. A plant-based diet is ideal, but veganism has become something of a cult. The vegan mafia should thank this now resigned chef in Shropshire, England. Ms. Goodman shed light on the fact that “vegan foods” are often “spiked” with fake substitutes. Sometimes a religiously strict diet can cause more worry, frustration and stress, leading to negative outcomes. Vegans would be better off if they dropped their judgment and found common ground. Sometimes people who obsess and worry about every little detail of their food may accidentally destroy their life and happiness in the process. Follow more news about veganism and raw food at RawFood.news.